I’ve got a new release from Riddler’s Edge for you guys. Book Six in the series is now available to download from Amazon. Hopefully you all enjoy this one. 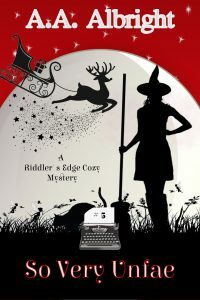 The next release will be in a few weeks’ time, another tale from Riddler’s Edge, titled A Little Bit Vampy. Is it ever a good idea to dig up the past? 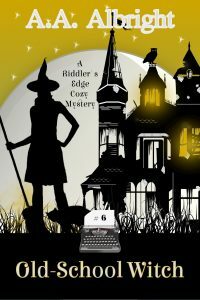 When a member of the Historical Society is murdered, there’s no magical cause to be found. If anything, it seems like it might be a case of simple revenge. 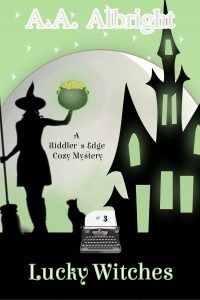 But when the society goes on to unveil an old, forgotten school in Riddler’s Edge, it seems that there could be far more to the murder than meets the eye. Riddler’s Edge School for the Gifted was a safe haven for supernatural children. So why was the school set on fire in the sixties? And why has it been forgotten until now? In order to find the real murderer, Ash and the gang must first find the surviving students. Along the way, they might just dig up some more secrets, too – like who is really behind the group known as Vlad’s Boys? Forget Me Knot, the tenth adventure for Wanda Wayfair and her coven, is now available to download on Amazon. At the beginning of this one, we find that Wanda is not only a Peacemaker, but is also married to Will Berry. Read the book, and all will be revealed. It’s Halloween in Riddler’s Edge, and everyone is having a wonderful time. So wonderful that they don’t seem to care when two women are murdered on Pirates’ Pier. There’s a strange new magic affecting everyone. Everyone, that is, except Aisling Smith. But without the help of her friends, will she be able to find the killer in time? 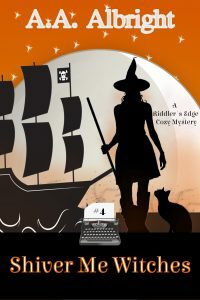 Dealing with murder, magically-altered friends, and a fair few ghosts and pirates is going to make for a busy Halloween. But even if Aisling gets through all of that, there will be one more mystery left to solve. A mystery that means more to her than anything. Will she finally discover what happened to her parents? 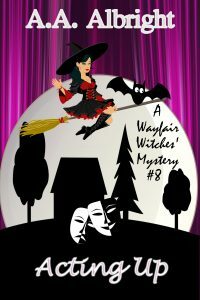 There’s a murderer on the set of Be My Witch, and Wanda is afraid that all the wrong people are being killed. Because in the vision she saw, Mandy Parker was the one who died. With the help of the victims’ familiars, Wanda races to solve the case. But can she find the killer before Mandy becomes the next victim? 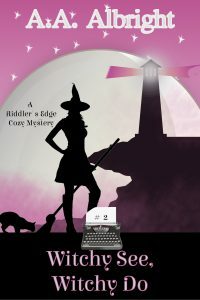 I’m so happy this morning, because Witchy see, Witchy Do, the second book in the Riddler’s Edge series, is now available on Amazon 🙂 The third book – Lucky Witches – will be coming this summer. There’s been another unfortunate death in Riddler’s Edge. And just like last time, this one definitely wasn’t a murder. When Heather Flynn is found hanging from the church bell, it seems clear that she killed herself. But Aisling Smith is convinced otherwise – and not just because it appears that Heather’s death was a resurrection spell gone wrong. There are mysterious symbols painted below Heather’s body – symbols which emit a green glow that only Aisling can see. It’s Shanty Season in Riddler’s Edge – and seeing as Heather was a member of the local choir, Aisling thinks it might be time to sing for her supper. Well, to sing for her story, anyway. But when yet another member of the choir is killed, the case gets stranger yet. 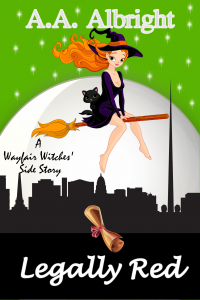 Aisling and Detective Quinn find themselves involved in the gruesome game of Witchy See, Witchy Do – a game from which no player has ever emerged alive.